O’Casey studied at the Anglo-French Art Centre before leaving London for St Ives in the mid-fifties. He became closely associated with the St Ives School of artists, working as an assistant to Denis Mitchell and to Barbara Hepworth. A talented painter and weaver, he was perhaps best known for his highly collectable and internationally reputed gold and silver jewellery until on his seventieth birthday he gave it up to concentrate on sculpture, painting and printmaking. All of O’Casey’s work is characterised by simple forms and lines, and a very personal set of imagery. 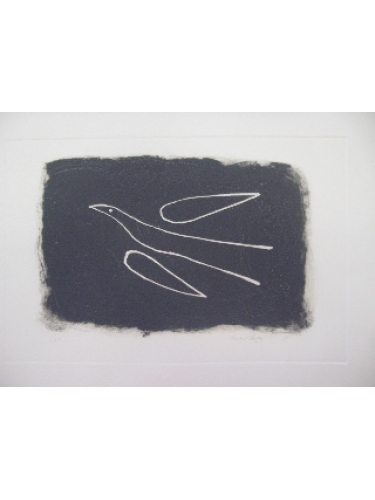 Birds, animals and human figures are pared down to their very essence, giving them a primitive and mystical presence.